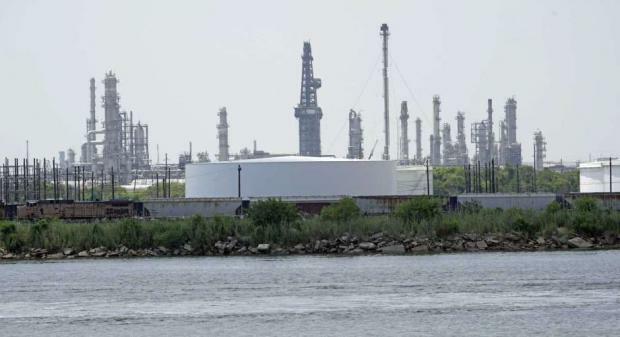 The U.S. Energy Department said commercial crude inventories rose by 5.8 million barrels last week and gasoline stocks jumped by 1.9 million barrels. Total petroleum inventories increased by 4.8 million barrels, offset partially by a dip in distillate fuel oil, which is used to make diesel fuel and heating oils. Another rise in total stockpiles coincides with the recent free fall in U.S. oil prices from more than $76 a barrel in early October to below $62 a barrel Wednesday morning. The last time the U.S. oil benchmark settled below $62 per barrel was March 15. The rise in crude outputs from the world's top three producers -- the United States, Russia and Saudi Arabia -- has pushed oil prices lower, and the decline was compounded by the Trump administration's recent decision to soften sanctions on Iran by allowing waivers for several of the top buyers of Iranian oil, including China.